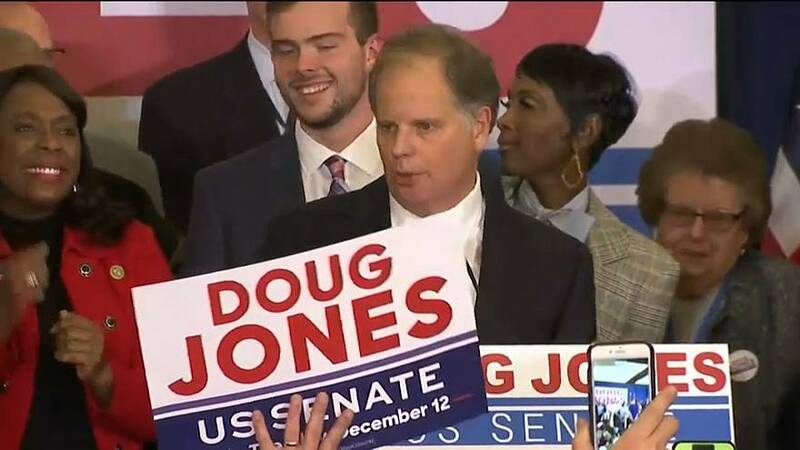 After a stunning night that turned red Alabama blue, American politicians have begun to react to the news that the traditionally conservative state has voted in a Democratic Senator. A quarter of a century of Republican representation in the Senate was turned on its head when Doug Jones beat the firebrand conservative Roy Moore in Tuesday's election. However, Senate minority leader Chuck Schumer said that to dismiss Moore's loss as being the result of his past is to ignore the political reality. Roy Moore's campaign was rocked by allegations of sexual misconduct against teenage girls and negative media attention over his views on matters such as homosexuality and abortion. Indeed, even President Donald Trump's endorsement, could not get the former judge enough votes to win. The loss of a Republican senator only a week before Trump's tax overhaul goes to the vote will come as a sucker punch to the leader's political plans. And with the Democrats energised by the victory in Alabama, whether the President can hold on to his slim Senate majority, is yet to be seen.